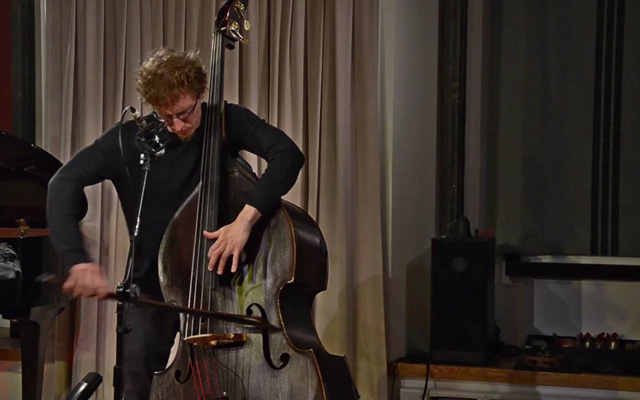 The bassist Kyle Motl is one of a handful of musicians who is committed to the idea of pushing the language of the contrabass into uncharted territory. His music appears to speak two things: the first is that only the extreme is interesting, and striving for a balanced tonality is everything. To this end everything that he writes or certainly that which improvises reflects this dictum. His work with Abbey Rader and, among others Kidd Jordan reflects that, as does his singular work. It is dense, monolithic and gritty, often invoking images of a harsh unyielding landscape. Sometimes, though, much like the transmogrifying character that he plays in the first of his 2017 releases that bears a derivative of this name – a shapeshifter – Mr Motl’s music appears to sing with a pronounced mellowing in his style. This is reflected not only in the solo album, but also in the trio recording where the works are far more linear, with an emphasis on brighter, more sonorous textures. Here he seems to favour an approach that is softer, even gentler as if he were moulding in clay. Often he thinks in wider intervals and consequently he seems to calculate note values which result in highly complicate rhythmic transformations. The percussive impact of his work – in his pizzicato technique employed by using both his fingers and the bow – seem to draw from every style including punk-inspired sounds and show a gradual change of direction to a sound-world in which there is greater sense of momentum and details of instrumental timbre are far more apparent. 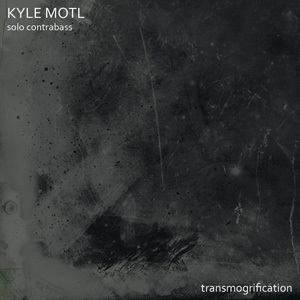 Kyle Motl: Transmogrification This is a remarkable disc – well recorded (by Kyle Motl himself) and performed with the widest possible spectrum of vivid, almost orchestral colours coming across from the solo manipulation of the contrabass. As the recording progresses Mr Motl’s playing seems to transform the rapid, flowing character of the music into a kaleidoscopic melee of scurrying voices which are built up layer by layer. Clearly Kyle Motl’s interest in rhythmic complexity means that the music changes dramatically – and often – in character, often sounding orchestral, albeit with a more pronounced lyrical strain than usual. The unusual fanfare and repeated ostinati in sequences such as those in “Umber” suggest a certain debt to moderns like Gérard Grisey (which might be unbeknownst to the bassist). His use of repeated motifs, vivid colours and the edgy anxiety of his plucking and bowing make for one of the richest free improvised contrabass recordings in a long time. 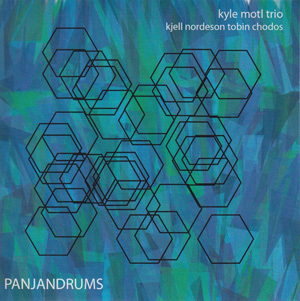 Kyle Motl Trio: Panjandrums Kyle Motl’s conception of the trio is such that the partners join in a spare, but complex mechanism of interlocking parts that also seem to readily accommodate a virtuoso soloist. This means, of course, that the music blooms in an environment where longstanding relationships bring the music to fruition like gently matured, rare wine. This music, involving piano and drums often features the low growl of Mr Motl’s contrabass thrown into a melee of tinkling piano and thumping timpani. As a result this leads into something primal and monolithic, the music constantly confounding expectation through sudden detours usually to explore different instrumental combinations from which flashes of vivid colour often emerge. What also comes across here is the complete involvement of Kyle Motl, Tobin Chodos and Kjell Nordeson with the music and their ability to communicate intra- and extra-musically with each other. And as a result of entrancing virtuosity and confidence it sounds as if this trio has been playing this music for decades, yet it still sounds absolutely fresh.